CERT GRANTED IN GOLDSTEIN & RUSSELL CASE SOUTH DAKOTA V. WAYFAIR, INC. | Goldstein & Russell, P.C. 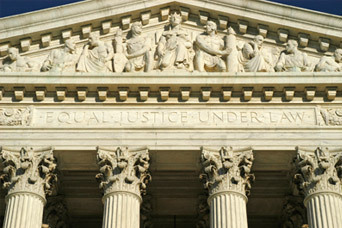 On Friday, January 12, the Supreme Court granted certiorari in South Dakota v. Wayfair, Inc. to determine whether the Supreme Court should abrogate Quill Corp. v. North Dakota's sales-tax-only, physical-presence requirement, specifically in regards to online retailers. Eric Citron is counsel for the petitioners.